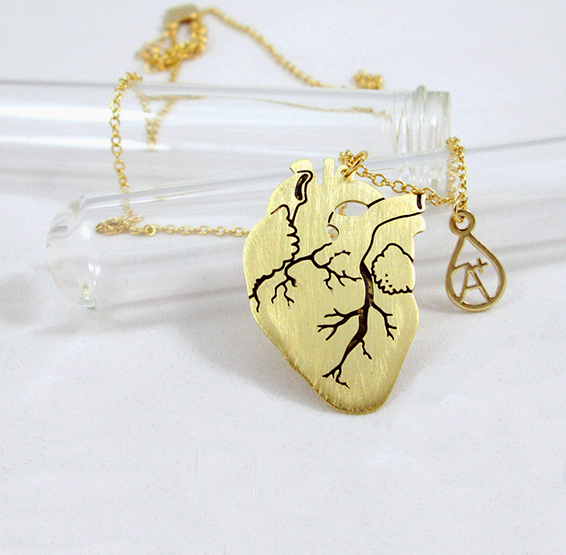 24 karat gold plated necklace. 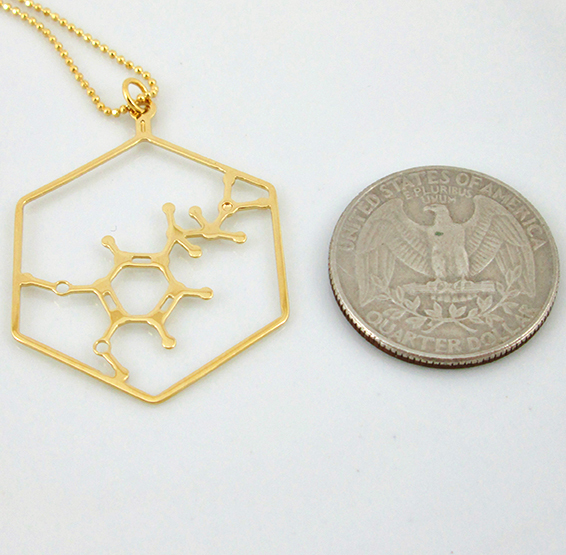 Approx 1.4" (35mm) X 1.2" (30 mm) includes a 16" (40.6cm) 24 Karat gold chain with a 3" (7.6cm) extension. 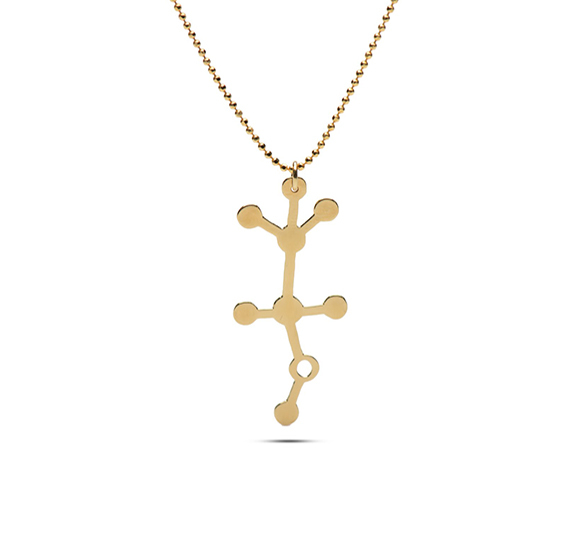 Also available in a SILVER. 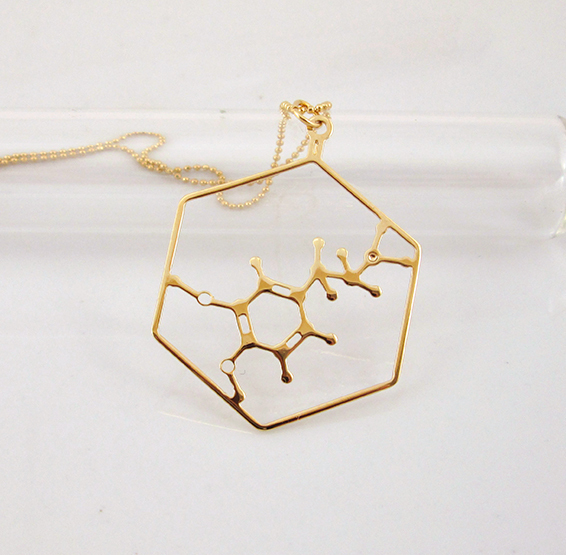 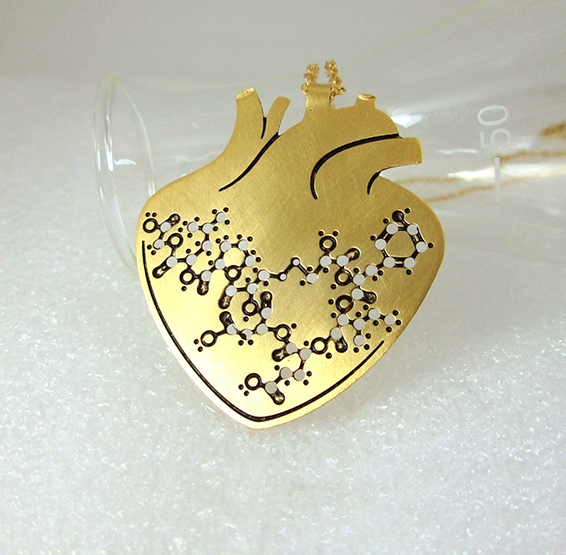 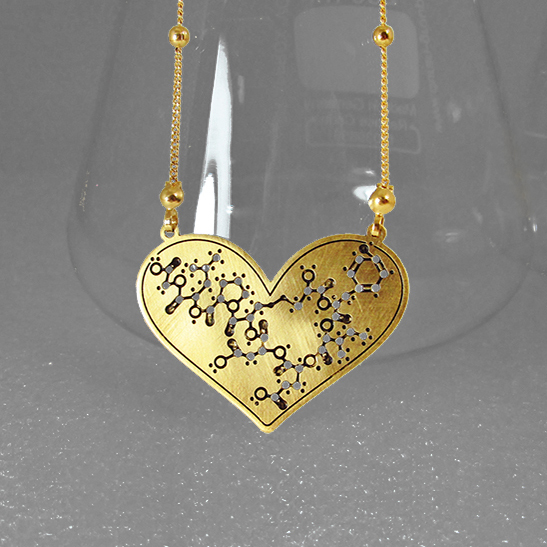 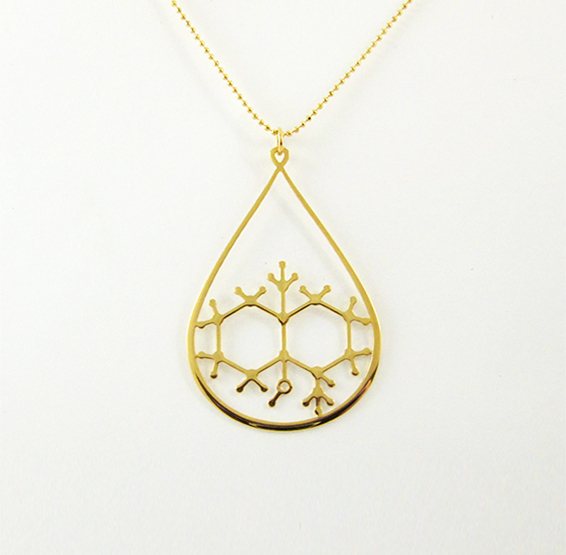 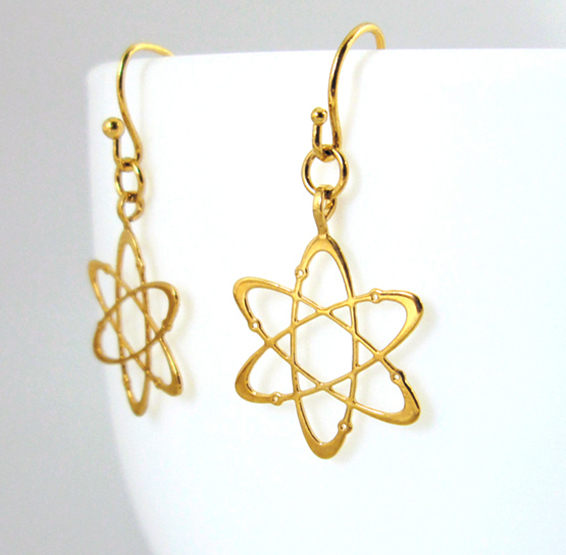 Dopamine molecule hexagon necklace – Get focus! 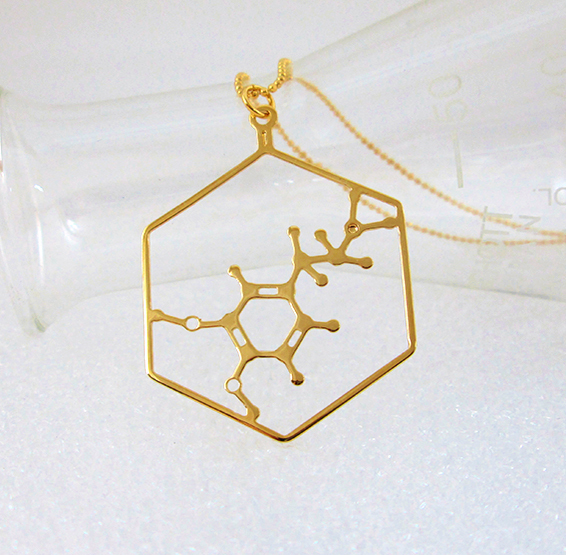 Dopamine is a neurotransmitter which plays a major role in the reward-motivated behavior and also has an effect on higher cognitive function and is associates with ADHD. 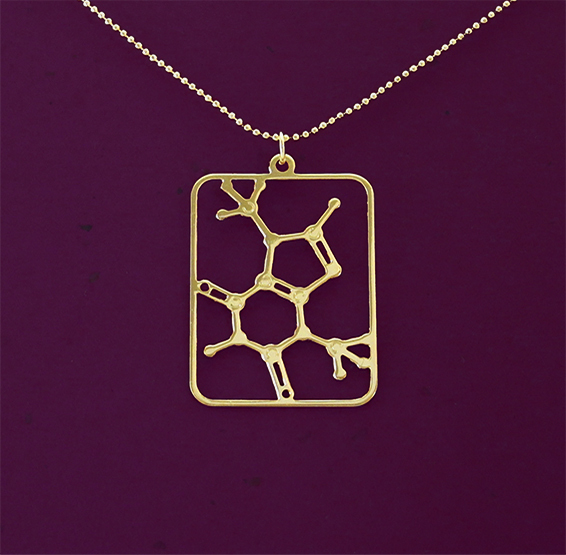 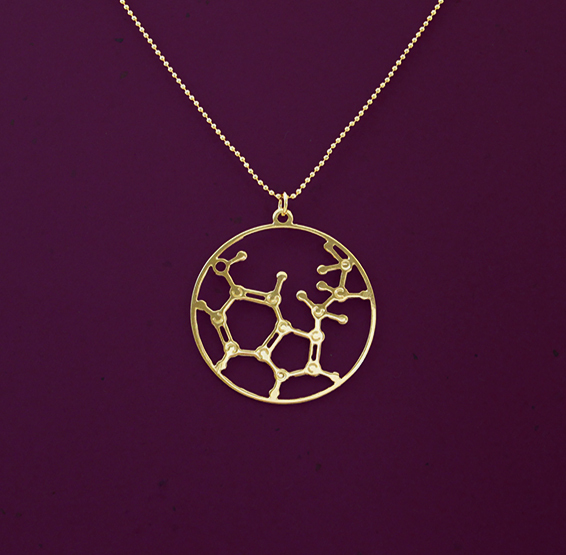 So, reward someone and get focus with this delicate pendant which is an artistic depiction of the 3D structure of the molecule. 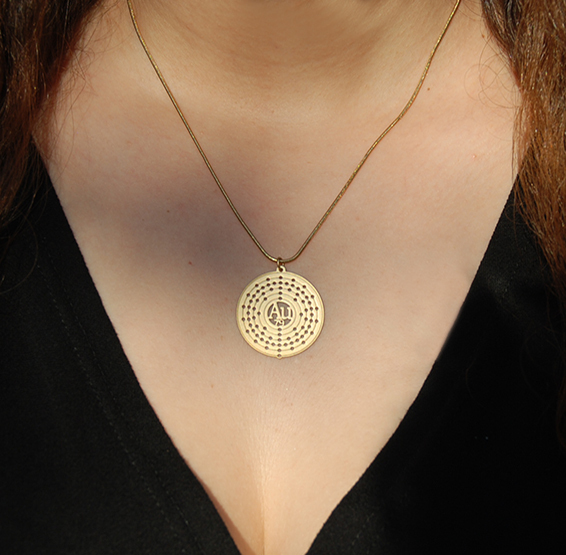 24 Karat gold plated pendant : approx 1.4″ (35mm) X 1.2″ (30 mm) includes a 16″ (40.6cm) 24 Karat gold chain with a 3″ (7.6cm) extension.